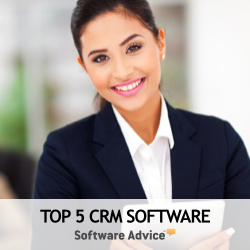 By Software Scope Oracle CRM on Demand offers a broad CRM with integrated marketing, sales and service. On-demand competitors of similar software scope include Microsoft Dynamics CRM, NetSuite CRM+, Salesforce.com, SAP's Business By Design and SugarCRM. By Customer Size CRM on Demand targets large companies, but retains customers of all sizes. SaaS CRM competitors that target the enterprise market but also possess small and midsize businesses include RightNow, Salesforce.com and SAP Business ByDesign. Interestingly, CRM on Demand is also satisfying demand as a tier 2 system, for divisions of large and global companies, which do not want to inherit or operate the complexities and overhead of their parent companies tier 1 applications. Primary competitors also positioning themselves as tier 2 solutions include NetSuite CRM+, Salesforce.com and SAP's Business ByDesign. By Vertical Market Oracle CRM on Demand offers industry solutions for automotive, high technology, insurance, life sciences and wealth management. NetSuite also offers a vertical market solution for software companies (comparable to Oracle's high tech) and professional services (comparable to Oracle's insurance and wealth management). Salesforce.com similarly offers an industry version for financial services, which includes insurance and wealth management. By Delivery Model Oracle CRM on Demand offers flexible delivery options, including on-demand or on-premises. Primary SaaS CRM competitors who also offer choice in deployment include Microsoft Dynamics CRM and SugarCRM. By Geography With global distribution, multi-currency management and multiple language editions, Oracle CRM on Demand solutions are worldwide and compete with other global leaders, irrespective of any particular region, including Microsoft Dynamics CRM, NetSuite CRM+, RightNow, Salesforce.com and SugarCRM. By Price Point At $75 per user per month Oracle's CRM On Demand is one of the most cost effective SaaS CRM solutions in the market. The primary competitor of similar price point is Salesforce.com's Professional Edition. Microsoft Dynamics CRM comes in at a lower price point while Salesforce.com's flagship products (Enterprise and Unlimited) are significantly higher in price.